Figuring out when to send Christmas cards to family, friends and business associates can be pretty tricky. You don’t want to seem overzealous and send them out before anyone is even thinking about the holidays, but you also don’t want to send them too late. Your target goal should be to have your cards completed, addressed and postmarked by the first week in December. That way, the recipients should receive them by mid-December. Your absolute cutoff date should be the second week in December. If you send your cards any later than that, they probably won’t arrive on time. Give yourself two weeks of extra time if you plan to ship your cards overseas. If you’re the type of person who likes to send out unique, homemade Christmas cards, then you probably don’t need to worry about ever sending them too early. After all, handmade cards can take a long time to make! What you do need to worry about is underestimating how long it takes to create hand-made cards, and sending them out too late. 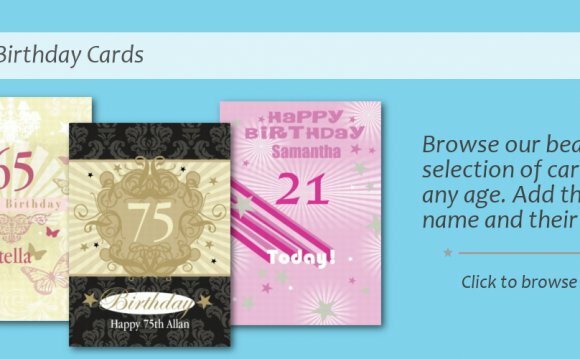 Thankfully, Tiny Prints makes it easier than ever to create completely personalized ! Your loved ones will still be treated to adorable Christmas cards that are infused with your unique personality, and you won’t have to spend hours slaving over each card. It doesn’t get much better than that! With the help of Tiny Prints, you will have an easier time following this simple step-by-step guide for getting your Christmas cards sent out at the perfect time. Your mailing list should be the very first thing you put together before ordering or sending out Christmas cards. Start thinking of names and jotting them down the first week in November or earlier, if possible. Give yourself a few days to complete your list as this can be a very time-consuming process. Keep a notepad handy so you can jot down names anytime they come to you while you are out and about. You can also make this task much easier by looking through your email lists, telephone numbers and work directories. Once you have successfully completed your Christmas card mailing list, put it away in a safe place so that you can save yourself time and effort next year. Choosing the design of your Christmas cards is the most enjoyable part of the entire process. Here at Tiny Prints, we have many different design options that range from cute and fun to classy and sophisticated. Our Christmas cards can be customized with a favorite family photo for a greater degree of personalization. Or, if you are sending to a mixed audience, you can choose a more generic design that is warm and welcoming without being too personal. If you do choose to have your card customized with a family or personal photo, make sure it is recent so that faraway friends and family can see how much you have changed and grown over the years. The photo itself doesn’t have to be holiday themed, but it is more fun if you can throw in a dash of Christmas cheer (think red hair bows and holly wreaths). When do most people really start buckling down and planning for Christmas? If you said after Thanksgiving, you’re absolutely right. Immediately after Thanksgiving is when most people start finalizing all of their Christmas plans and projects. Perforated paper is a craft material of lightweight card with regularly spaced holes in imitation of embroidery canvas. It is also sometimes referred to as punched paper.